Preceded by the pros of the PCHL and WHL, the NHL made its California debut in their league-doubling 1967 expansion when two of the six new squads (California Seals, Los Angeles Kings, Pittsburgh Penguins, Philadelphia Flyers, St. Louis Blues, Minnesota North Stars) landed in the Golden State. 23 years later, two more were added (Anaheim Mighty Ducks, San Jose Sharks) two years apart. Today three remain. 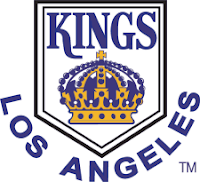 Winless in their sole Cup appearance (1993) and six seasons separated from the playoffs, the Kings are best known for the biggest playoff game comeback in NHL history (Miracle On Manchester), the high scoring Triple Crown Line, and snatching and crowning the game's leading man (Wayne Gretzky). 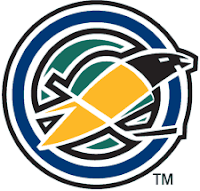 Bearing three names (California Seals, Oakland Seals, California Golden Seals) before becoming Cleveland's Barons (1976) and folding into the Minnesota North Stars (1978), the Seals never won a playoff round nor managed a winning regular season record in their terse nine year tenure. An only child of the 1991 expansion, the Sharks have reached the playoffs with 70 percent success and last year claimed the Presidents' Trophy for the league's best regular season record. Oddsmakers list the Sharks as California's team to beat. Launched in 1993 alongside the Florida Panthers, Disney's Mighty Ducks realized their Bad News Bears destiny a decade later in a Game 7 loss in the 2003 Cup Finals to the New Jersey Devils. Upon removing the "Mighty", the Ducks immediately returned to the Finals and won the Cup in 2007. 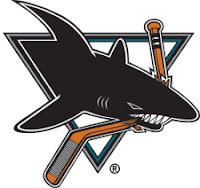 Of the 82 combined seasons of NHL hockey played in California (Kings 41, Seals 9, Sharks17, Ducks 15), the state has yielded 39 trips to the postseason (Kings 18, Seals 2, Sharks 12, Ducks 7), three trips to the Stanley Cup Finals (Kings 1993, Ducks 2003, Ducks 2007), one Stanley Cup win (Ducks 2007), and one Presidents' Trophy (Sharks 2009). 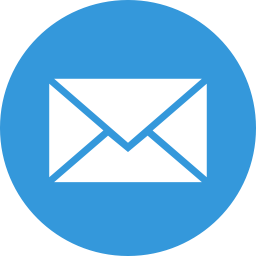 In terms of California firsts, the Seals renamed (>1967), relocated (1976), and folded (1978), the Kings made the Finals (1993), the Ducks won the Cup (2007), and the Sharks took the Presidents' Trophy (2009). All three California teams appear poised to perform this season.